In our blog series, Casting Advocates, we explore the work of organizations and industry leaders who work to elevate the metalcasting profession. Here in this first installment, we focus on the Steel Founders' Society of America. 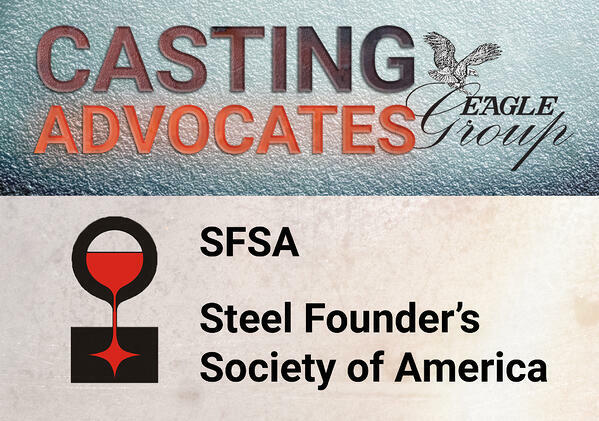 The Steel Founders' Society of America (SFSA) was first organized in 1902, and initial meetings were a "luncheon club" attended by a handful of casting companies from the Midwest and the East Coast. After more than a century of evolution, SFSA is now a major force in promoting metalcasting competitiveness industry-wide. Today, SFSA works to provide members with the tools and knowledge to succeed in today's high-tech manufacturing environment. SFSA currently has around 85 members, most of which are based in North America, with a few in Europe. The average size of an SFSA member company is approximately 125 employees, but a wide range is represented. Current estimates put total annual steel casting production in North America at around 1.3 million tons, and SFSA members represent around 50 percent of that output. These casting facilities produce a range of castings for industrial equipment and commodity markets. In terms of total tonnage, rail-related products make up about half of total output for SFSA members. The other half is divided between mining, construction, oil and gas, heavy trucks, defense, and other general industrial castings. The map below shows geographical distribution of SFSA member companies. Research is a major part of SFSA's work, and access to research studies is one of the key benefits for members. Because of their strong relationship with U.S. military services, SFSA is able to leverage around $3 million per year in Department of Defense (DoD) funding for casting research, which takes place at universities around the country. Many of SFSA's staff have engineering backgrounds, with specializations like chemical engineering, mechanical engineering and metallurgy. With both an academic and practical understanding of key topics, SFSA is able to oversee university research, and serve as a liaison between the academic and industrial spheres. Most importantly, SFSA guides the research to focus on objectives that can be transitioned into industrial applications. When a study is completed, it's made available to SFSA members. In part because of the research conducted by SFSA, member companies are better equipped to compete with newer technologies and materials in other industries. For members, SFSA's resources go a step further. Their largest educational resource is a Steel Casting Wiki with thousands of technical papers, handbook data, best practices, case studies and definitions. Members also have access to a range of exclusive resources, like health & safety guidelines, phone technical support, training (both web-based and in-person) and meetings. SFSA holds a number of key meetings throughout the year, but their flagship conference is the National Technical & Operating Conference, or T&O Conference for short. This annual event brings together SFSA member companies to exchange innovations and solutions in metalcasting. The format of the conference is simple: member companies (usually over 50 per year) deliver 10-15 minute presentations on different casting topics. When the day's presentations are finished, everyone who presented is invited onstage for a Q&A session. The T&O Conference represents one of the society's greatest strengths: collaboration among unlikely partners. 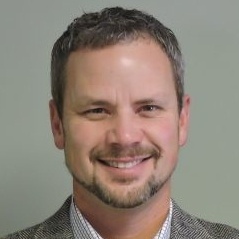 According to Ryan Moore, Director of Programs and Services at SFSA, "These are people who may compete with one another, but they’re giving something and they’re taking something. 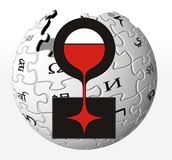 They help themselves and they help advance the industry. " Throughout the year, SFSA hosts smaller meetings that last 1-2 days and drill down on specific topics. Generally, each meeting is followed by a foundry tour, where an SFSA member brings meeting participants into their facility to show how their operation works. "That's one of the real values," Moore says, "being able to go into another organization's facility and learn firsthand from other members. The same applies to the T&O. If you're willing to go on a tour, you have to be willing to host a tour yourself. It's kind of a gentleman's handshake." "In the past 20 years, there have been more than 100 steel foundry closures. That is roughly 35% of the industry in North America," Moore says. Today, industries supported by casting are seeing a revival, and that means more work for the casting companies that still remain. But while casting capacity has been reduced, another significant challenge today is labor capacity. One of the most widely discussed challenges to the casting industry is the shortage of skilled workers, which is predicted by many to worsen in the near future as seasoned casting professionals retire. To ensure that the younger generations pick up the slack, SFSA makes casting industry perception a priority. One way SFSA tackles this challenge is by working directly with universities. Students involved in SFSA's research efforts, as well as their peers, get firsthand exposure to the cutting-edge technology driving the casting facilities of tomorrow. "When people think of a foundry, they often think of it as old technology," Moore says. "but actually we are an advanced manufacturing industry." SFSA's relationship with universities helps show students the potential for exciting, challenging, rewarding careers in casting. SFSA is also introducing a program called Cast in Steel, where student teams are tasked with casting a viking axe (following certain guidelines set by SFSA) and presenting their final products in a competition. Importantly, one of the requirements is that each student team must work directly with a foundry. The foundry can provide basic technical advice, or can be fully responsible for aspects of the casting process. Either way, the foundry gets an opportunity to interface with engineering students who could soon become metalcasting professionals. 2019 is the first year of Cast in Steel, and it already has 22 student teams from 16 universities in competition. Approaching the workforce challenge from a completely different angle, SFSA is also working to advance automation in the casting industry. They're currently working to construct a robotic cell as a proof of concept that can then be studied and adopted by SFSA members. The goal of SFSA is to provide universal tools that solve a wide range of problems for casting companies. Ultimately, the goal is to ensure a bright future for the casting industry as a whole, especially as new materials and new manufacturing processes increasingly compete with steel and steel casting. According to Moore, "Metalcasting is vital to manufacturing, but you constantly have to change and evolve and know your market. We want to grow casting capabilities and ensure that we advance as an industry."